For nearly 20 years, Ascension Liners & Accessories has been the go-to provider of truck bed liners and accessories for truck owners in the Gonzales, Louisiana area. We carry top-of-the-line accessories of all types for your truck and we specialize in bed liner installation. Louisiana is not a state known for its mild climate or lack of wildlife. That’s why it’s important to protect one of your main assets—your vehicle—from pests and less-than-optimal weather conditions. For quality, protective bed liners and truck accessories, Gonzales, LA, residents turn to Ascension Liners & Accessories. We carry everything you need to customize your truck for ultimate functionality, versatility and aesthetic appeal, including bed covers, running boards, trailer and gooseneck hitches, tool boxes, transfer tanks and pumps, vent visors, floor mats and bug shields in Gonzales, LA. Our trained technicians have decades of experience. We use only quality materials and top-of-the-line equipment to ensure lasting value. 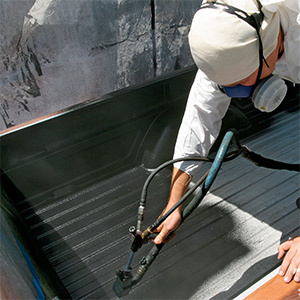 Our spray-on bed liners come with a lifetime guarantee. We’ve been providing superior liners and accessories for nearly 20 years. We proudly serve Gonzales, LA, and the surrounding areas.